There will come a time when my son isn’t waking up each night, stumbling towards mommy or daddy, and whimpering that we climb in bed with him to get him back to sleep. Invariably, one of us ends up spending most of the night with him. Last night, it was my turn. I slipped under the covers at around 10:30; thanks to the magic of valerian root in my evening tea, I’d actually fallen asleep in my own bed about an hour earlier. I stumbled into his room. He hooked himself onto my shoulder, and off we drifted. I’ve given up trying to escape from his tiny clutches, and have begun surrendering to the particular loveliness of sleeping beside my child, – even when I wake up intermittently with half my body spilling off the bed, even when his long legs kick me or his slender arm flings across my face in a half-conscious twitch. These are moments that I know I will long for one day very soon. Rather than fighting them, I am learning to drink them up. When we rest together, there is peace and comfort and this ineffable magic of mother and child, entwined in so many ways. Our waking hours are too often rife with battles, raised voices, tears, inevitable at this stage. But in our resting state, we silently breathe together, the rhythm of our love rising and falling in sync. In the harsh, unending daylight, I sometimes fear that the dark side of our complicated relationship will overwhelm the light we create. In the dark, in silence, I can simply run my hand through the soft dark curls on his perfect head, and transmit the power of my love for him, wordlessly. The struggle of growing up makes everything a constant lesson; commit this infraction, learn this. Engage in that act of defiance, suffer this consequence. You must learn. Over and over. It exhausts me; I can only imagine how it must tax his spongy brain, ever-absorbing, ever wondering. I try to hold his gaze as my voice rises; I aim my finger at him to stress my point. “Do you understand?” A hundred, a thousand times a day those words escape my lips. He is trying, all the time, even though he often doesn’t show it. “Yes,” he will spit out, in exasperation, turning his head away from me, and I hear a silent, “Geeze, moooooom,” following. “Get away from me!” “”Go away!” These words fall around me in a never-ending cascade, a waterfall of his disdain. I know he is testing, pushing me, finding limits, and that five minutes later, when he bumps his head and the tears come, he will fall into my arms as if they are the only safe place in the world. Still, they sting. Maybe it is the added anxiety of the adoptive parent; as he grows, his love will diminish. When his story is revealed to him, he will pull away, and seek his true self. All you can do is love them; the rest will sort itself out. A wise friend, also an adoptive mom, shared these words with me at the dawn of the infamous toddler phase. When the anxiety creeps in, the fears of what might come next, I come back to them, and burrow deep inside their meaning. 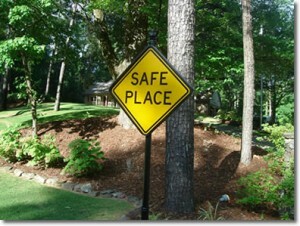 It is the only safe place in the world. This entry was posted in adoption, Life After Cancer. Bookmark the permalink.